*Slots represent the number of available configurable routes that can be used to associate or link an IP or IP block to any given server. A slot can be configured with one or in the case of an IP block, many IPs. Servers are limited to 16 slots and or up to 128 IPs per server. 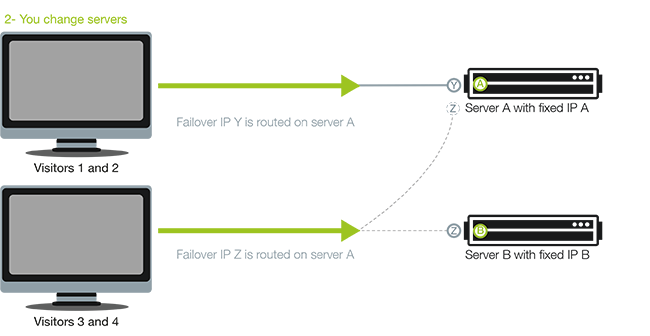 If you plan to use the maximum amount of IPs available to your server, slot management is important. If you host international projects then search engine optimisation (SEO) will be of great interest to you. The ranking of many search engines is directly affected by the location of the hosting IP address. So you Start enables you to host a project on server A with failover IPs located in UK, ES, PL and DE. Failover IPs are a unique technology developed by OVH, which the So you Start servers can also benefit from. 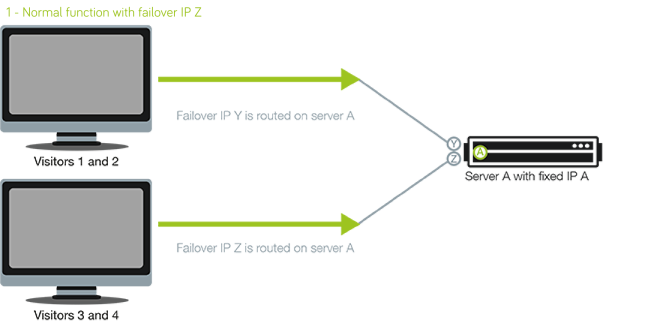 The So you Start failover IPs are compatible with all So you Start servers. They can be migrated from a So you Start dedicated serveur to an OVH dedicated server. However, the opposite does not apply: failover IPs cannot be migrated from an OVH dedicated server to a So you Start server.